The Collect Call: Live from Salt Lake City! 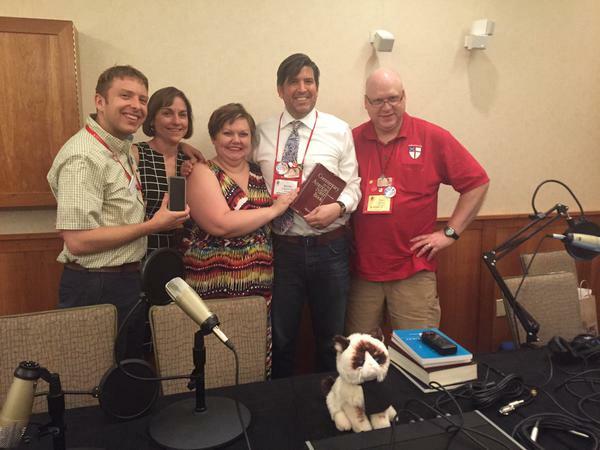 Our first ever live show – live from the 78th General Convention of the Episcopal Church. And our technology didn’t melt down! Featuring special guests from @easterppl, Padre’s Pods, and the Official Linguist of the Collect Call. I have used that “after worship” prayer as a personal devotion to help my own transition back into the world after liturgy. I’m not moved by the “we’re delaying the dismissal and should be getting out into the world” argument as long as we have a closing hymn (not rubrically permitted! ), a postlude, or coffee hour.